Expert witnesses in the field of energy infrastructure testified Wednesday to the Senate Committee on Homeland Security and Governmental Affairs about the imminent threats of EMP weaponry and geomagnetic disturbance (GMD) events. "We’ve allowed government dysfunction to prevent us from doing even the most basic things to protect ourselves," said Chairman Ron Johnson (R., Wis.), the lone representative present at the beginning of the hearing. "I wish every member of the committee was here to hear this." In 1859, a coronal mass ejection (CME) from the sun, known as the Carrington Event, contacted the Earth’s magnetosphere and induced one of the largest GMD’s in recorded history. Had a similar storm contacted Earth today, it would precipitate the most devastating meltdown of the global electric grid, setting humanity back more than 100 years technologically. "I emphasize that a once-per-century event could occur next week. It has a probability of 10 percent of occurring in the next 10 years, a time in which we can and should take measures to reduce and essentially eliminate its impact on the bulk power system of the United States," said Dr. Richard Garwin of the IBM Thomas J. Watson Research Center. In the absence of any formal training for transmission operators, Garwin recommended implementing a program to equip operators to "bring down" electrical lines in risk of damage by an electrical event within seconds of their knowledge, saving billions of dollars in repair that would be required should they be operational at the time of a GMD or EMP weapon detonation. The electromagnetic pulse could result from a high-altitude nuclear detonation, more than 100 kilometers above the ground, launched either by a nuclear warhead or satellite delivery system. The results of an EMP event are drastically different than that of a solar event, and bills introduced to the US House of Representatives, such as the Secure High-voltage Infrastructure for Electricity from Lethal Damage Act or SHIELD Act (H.R. 2417) address this issue. 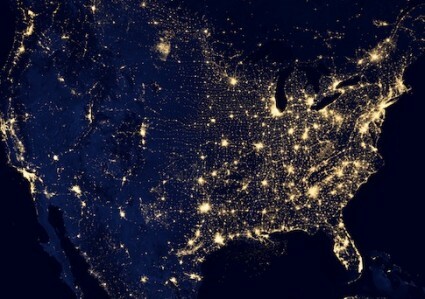 "Simply finding a way to harden a grid that will, per the EMP Commission, still likely come down … because there are no protections anywhere else, doesn’t seem like the best focus of our energy and time. We want to focus on [the] recovery scenario for the low likelihood, high-impact events like an EMP, which we see as distinctively different as a GMD," Bridgette Bourge, an official at the National Rural Electric Cooperative Association, said in her testimony. The experts stressed that funding remains a major issue when it comes to addressing the threat of electrical attacks and anomalies. While Garwin said that only a few hundred substations would need "hardened protection" costing an estimated $100,000 per station, there is no consensus to indicate which stations are of critical importance depending on what kind of threat the U.S. electric grid would face. "Let’s not make perfect be the enemy of good," Johnson said. "Let’s not sit back and say, if you cannot protect everything, protect nothing. Let’s start protecting things." "We spent $800 billion in 2009 and 2010 on a stimulus package looking for shovel-ready projects—this would’ve been a good shovel-ready project."